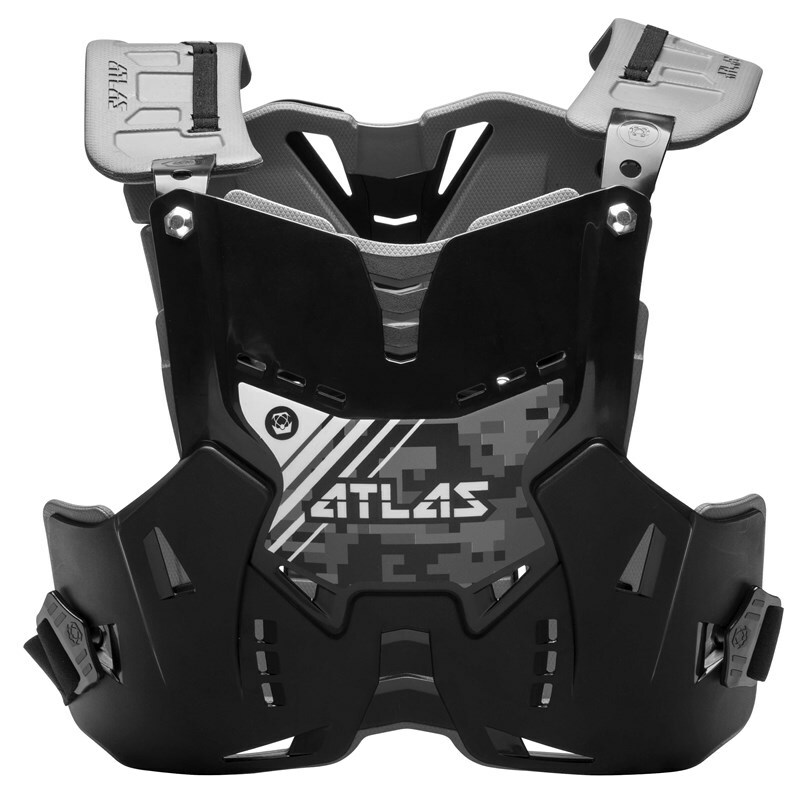 The Defender design incorporates unique fit, function and adjustment based on the features of Atlas Braces. 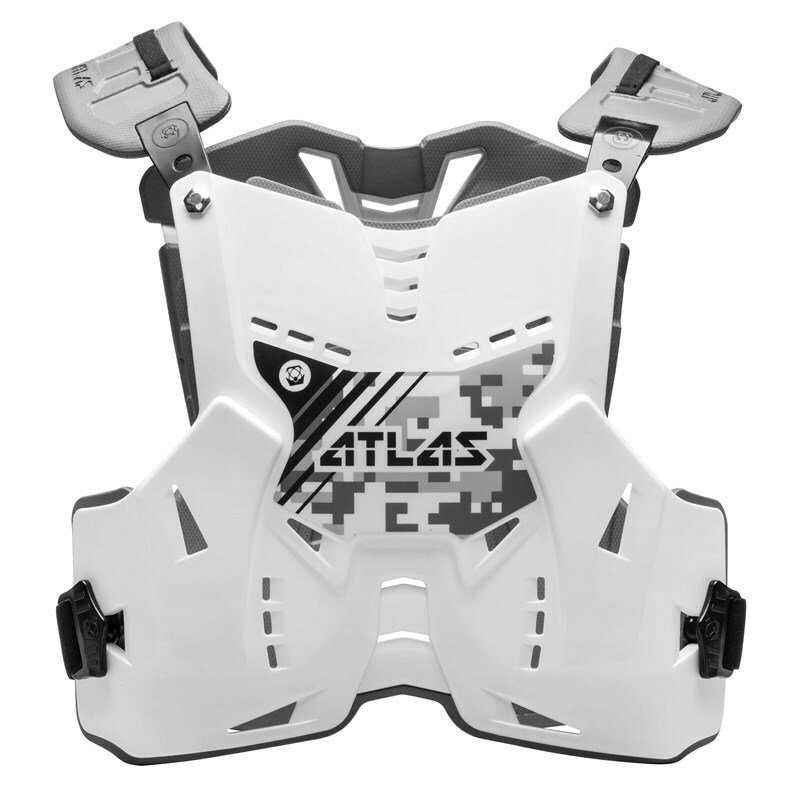 Interchangeable parts and straps allow for eight unique configurations that can be worn with or without a neck brace, over or under a jersey and in either full or front only versions. Its high-performance foam is lightweight, tough, comfortable and waterproof for no more added water weight or damp feeling after washing. Unique waist straps have built-in magnets that keep the straps in place during use. A GoPro® ready, optional mount bolts directly to the Defender to get a perfect view of riding, racing or other extreme sports activity \(camera not included).